I’m excited to announce that I have found a way to track the free art that will be part of this project as it travels around. to watch as the art travels around. Next, I need to work on a way to show it on a map of the world. 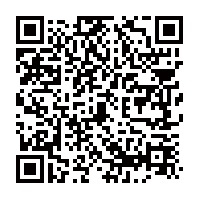 Using your iPhone or Droid and the free app Quick Scan by iHandy, you can scan the QR code. An email to me will be automatically generated. If you already have a scanner app, try it on this code above. Substitute your City and State in the SUBJECT and hit SEND. Voila! I will have what I need to update the art piece’s location. Your email information will not be used for any other purpose. How high tech is that? And if you would rather, send us the enclosed postcard with information about the art piece’s journey. This sounds great!! I can’t wait till June!!! Soft launch this weekend in Half Moon Bay, if you are around. We have an annual block party on Main Street (Rock the Block). Working on a map to plot the paths these pieces will take right now.